PTC Mathcad is the single solution for solving, analyzing, documenting and sharing your essential engineering calculations and design intent. Its live mathematical notation, units intelligence, and powerful calculation capabilities, presented within an easy-to-use interface, allows engineers and design teams to capture and communicate their design and engineering knowledge. GrabCAD Workbench is the simple cloud-based PDM that makes it easy for engineering organizations to manage and share CAD files without the cost and IT hassle of traditional installed solutions. Vectorworks Spotlight is the industry-leading design software for the entertainment business. It works like you think, facilitating improvisation and creativity so you can transform your designs into award-winning productions. Whether you work in lighting, scenic, event, tv, film, rigging or exhibit design, Spotlight software balances your process with the need for coordinated, accurate information so you can create unmatched experiences. CulvertMaster solves culvert hydraulics problems. ETAP is an enterprise solution for design, simulation, operation, control, optimization, and automation of generation, transmission, distribution, and industrial power systems that offers a suite of integrated electrical engineering software solutions including arc flash, load flow, short circuit, transient stability, relay coordination, cable ampacity, optimal power flow, and more. 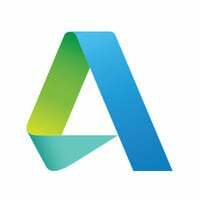 iConstruct is a business information modeling (BIM) software for Autodesk Navisworks for a large range of industries worldwide that ensures a project is as efficient and simple as possible for teams to manage and maintain from concept to completion and beyond. SPEOS is a solution to create and analyze innovative lighting systems. 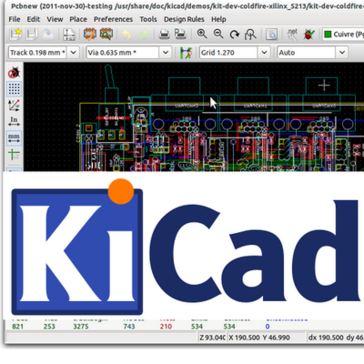 A highly capable PCB design software that is intuitive, unrestricted and free. ANSYS Enterprise Knowledge Manager (EKM). ANSYS EKM is a web-enabled scalable system that enables your engineering team to manage and share simulation data, integrate heterogeneous simulation tools and create easy-to-follow workflows for your entire product development team, while providing the greatest level of data security to protect your company's intellectual property. ANSYS SpaceClaim is an engineering CAD software that enables anyone to create, edit, and repair geometry without worrying about techNology. DataNumen DWG Recovery is a recovery tool for corrupt AutoCAD dwg files. EPLAN Electric P8 is an electrical engineering design software program that offers unlimited possibilities for project planning, documentation, and management of automation projects. The automatic production of detailed reports based on wiring diagrams is an integral part of a comprehensive documentation system and provides subsequent phases of the project, such as production, assembly, commissioning and service with the data required. Engineering data from other project areas, such as fluid and pneumatic engineering, can be exchanged via interfaces within our CAE software. This therefore guarantees consistency and integration throughout the entire product development process. ViaCAD Pro offers precision solid modeling and drafting toolsets, enabling advanced 3D prototyping, photorealistic rendering, and design for products and packaging. 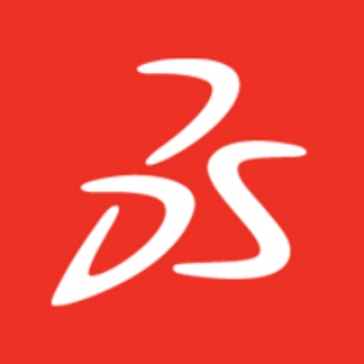 Emulate3D develops cost-effective software products that facilitate the demonstration, understanding, and sale of Automated Material Handling Systems, and their efficient market deployment, support and maintenance. Visio P&ID Process Designer is an add-on to Microsoft Visio Professional software that improves the productivity of the user for creating Process Flow Diagrams (PFD's) and Piping & Instrumentation Diagrams (P&ID's). The weLees' Visual LVM is a GUI based LVM managing tool. It provides user an easy way to manage LVM devices. A storage administrator can do LVM managing operations with only some basic knowledge. No calculating, no locating, no endless command line, and more detail showing, more architecture viewing. The overview of storage system showing of Visual LVM is different with all other GUI based LVM manager. Try it and you will get an excellent experience. 3D Inspection System is a software handles inspection data gathering, report generation, and office management of jobs and contacts. Adept CAD Document Manager is an engineering CAD software that helps to find, manage, share and control engineering, CAD and business documents. Engineering Software Steyr GmbH (ESS) develops highly specialised fluid simulation software for the automotive industry.